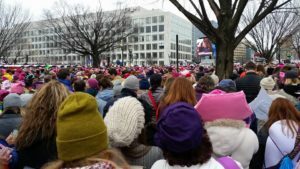 Women’s March on Washington 2018: March On The Polls! On January 20, 2018 women and allies will once again take to the streets of the nation’s capital to make a powerful statement to the current administration and the rest of the world. 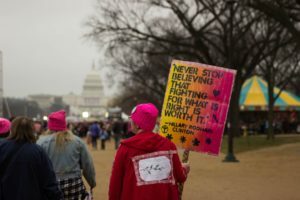 In a follow-up to the largest demonstration in U.S. history, people from across the country will meet at the Reflecting Pool in front of the Lincoln Memorial at 11a.m. where March Forward Virginia will host a rally showcasing several speakers followed by a march on the White House. March On The Polls, the Anniversary to the 2017 Women’s March, exists to advance peaceful and positive progress in communities across the country, with the goal of ensuring all women and their allies persist in civic and political roles moving into 2018. The past year featured an historic number of women engaging in the political process – including running for office – and it is vital that women and their allies continue to take an active role in 2018 elections. 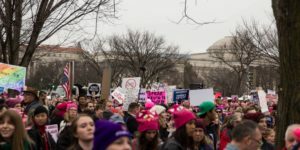 You can DONATE to help support the march! All funds raised will go towards the costs associated with the event. All across the nation, women and allies will once again mobilize to stand together in solidarity and action!